This rich body lotion is pure luxury on the skin but won't cost you a luxury price tag. Moisturizing, Nourishing and smells divine with lavender and rose geranium, it is a great addition for ultimate body care. Skin loving coconut oil, vitamin E, jojoba oil and beeswax deliver ultimate skin softening and nourishing benefits that leave the skin super smooth and supple. Lotions are a lighter way to moisturize without the heavy texture of a cream or butter although this recipe does boarder on being a cream, I could not resist leaving it this texture as “creamy and dreamy”. 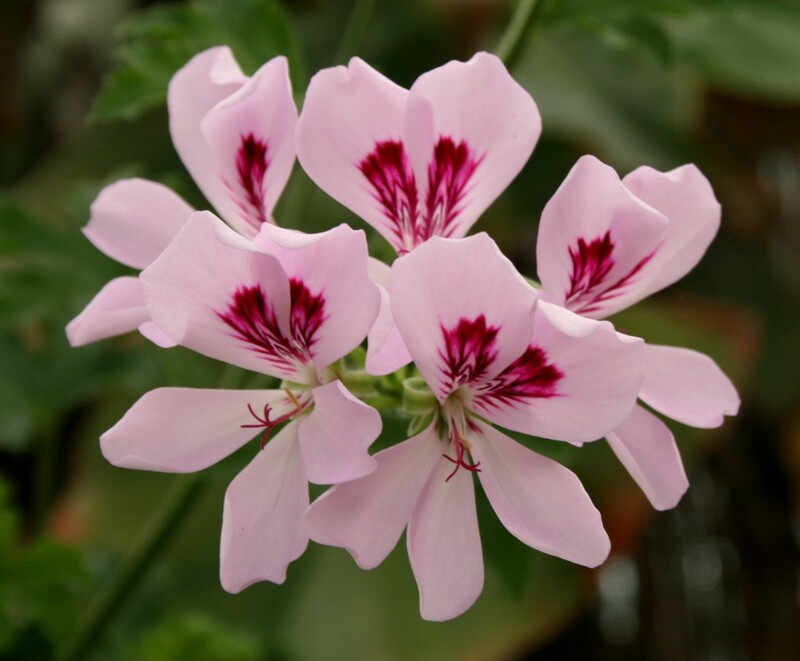 The best Rose Geranium essential oil is extracted from the geranium plant species Pelargonium graveolens. 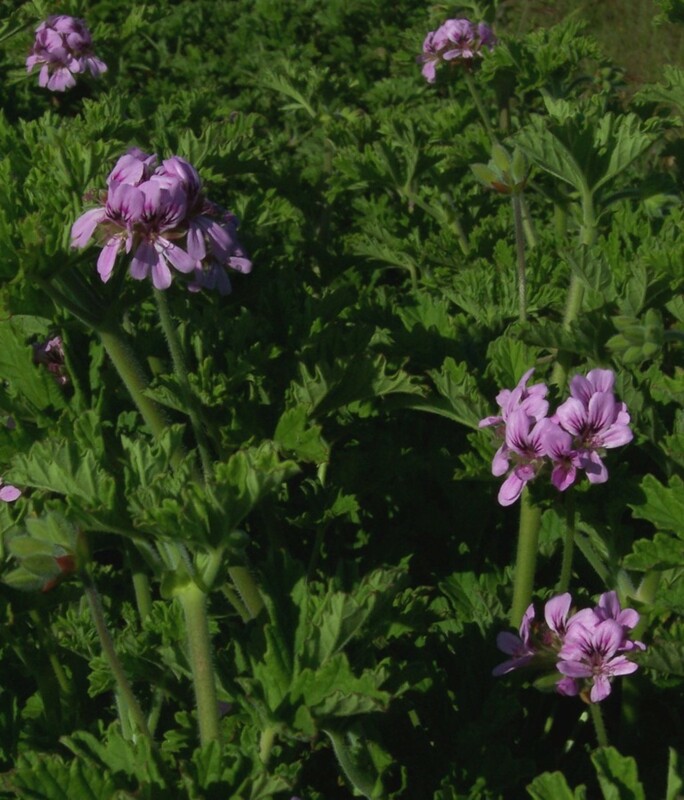 There are over 700 varieties of Geranium but only 10 that produce essential oil of any great quantity. 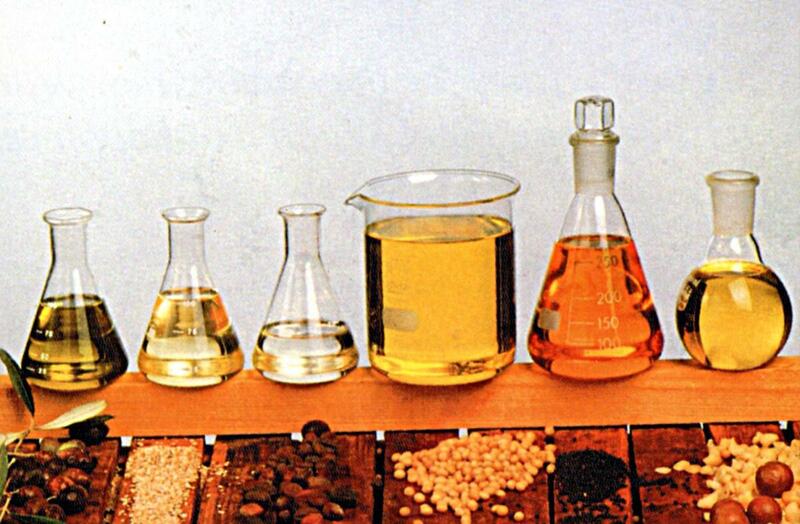 The normal garden varieties of the plant do not produce enough oil. Originating on the African continent, it was not until the 17th century they made their way to Europe, most notably Italy, Spain and France. Rose geranium is a crisp rosy scent that may be used in an oil burner, potpourri, shampoo, massage oil and any homemade skin care product. Ideal fragrance combinations with Rose Geranium include; Lavender, Bergamot, Lime, Carrot Seed, Angelica, Basil, Rosemary, Jasmine, Grapefruit, Citronella, Orange, Neroli and Cedarwood. 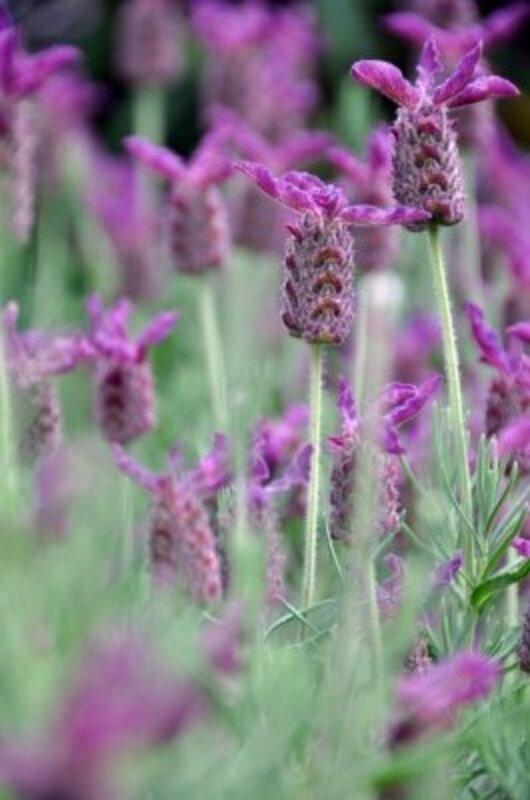 The most widely cultivated species of lavender is Lavandula angustifolia and is the most popular species cultivated for essential oil from the flowers. Top European exporters include France, Bulgaria and England but it is extensively grown throughout the world. It is not surprising that lavender is one of the most popular essential oils with its extensive qualities. Apart from using lavender in skin care products it may be use in oil burners, in massage oil, vaporizers, cold compresses, air fresheners, potpourri and as a general disinfectant around the home. Therapeutically it relieves stress, anxiety, migraine, sleeplessness and is used to help moodiness, allergies and induces calm and relaxation in a wonderful fragrant surround. Lavender blends particularly well with geranium, pine, cedarwood, nutmeg, clary sage and all the citrus oils. 1 x 16 oz Glass Jar with Secure Lid (pint sized canning jar) or 2 x 8oz jars. Add beeswax, coconut oil and jojoba oil into the glass jug. Place in saucepan and fill the pan with water, about a pint or two. Heat gently to melt all the ingredients, mixing as it melts. Keep an eye on this and do not allow it to boil. When fully melted, turn off the heat and remove the jug from the pan. Allow to stand and cool to room temperature, stirring every 10 minutes to help it emulsify. When it has thickened, add in the vitamin E and the essential oils. Mix thoroughly to combine evenly. 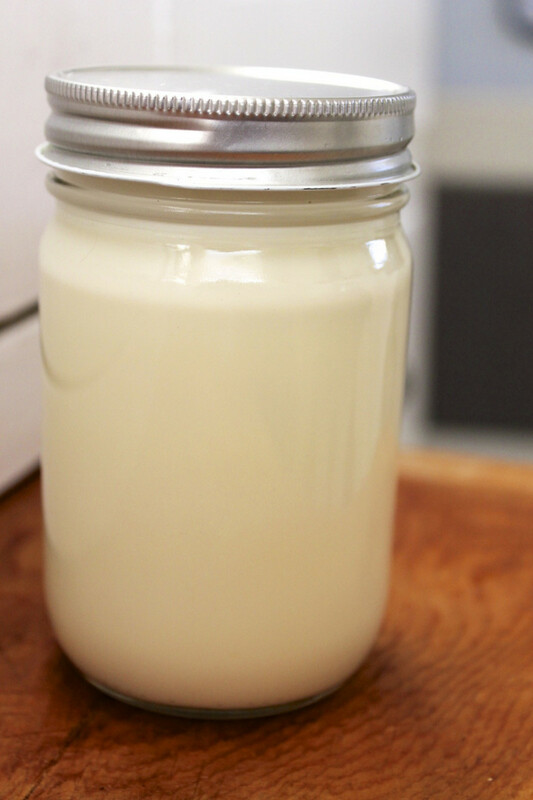 Pour your lotion into the glass jar and secure with an airtight lid. This body lotion should last up to 6 months. Store in a cool dry place or leave it in the fridge in-between use. Which texture do you prefer? Scented body spray may be easily made out of your scented body lotion so no need to buy two separate beauty products. Read on for a simple recipe for a body spray plus a blended body lotion and more. Recycle glass jars in the home such as pasta sauce, preservatives, baby food and coffee to use. Always wash, dry and sterilize well before reusing. ALL these ingredients are versatile and are commonly used in homemade skin care, makeup and hygiene products. If you are planning on making different products it is worth checking out the larger or bulk buy options for better discount. This makes them extremely cost effective and if being used regularly, they are unlikely to expire any shelf life dates which all tend to be over a year. This body lotion makes a perfect cost effective but luxurious gift which will go down a treat with friends, family or even to sell on Etsy or a market stall. With Lavender and Rose you can make a collection of products for example bath salts, hair treatment, body scrub, face mask, face scrub, deodorant, hand cream and moisturizer. By substituting or adding essential oils in recipes you suddenly have your own range of matching scented products. Make your own solid perfume or perfume using these scents and save a fortune on branded ones. Even a men’s eau-de-cologne is easily made with essential oils and jojoba oil as a base. 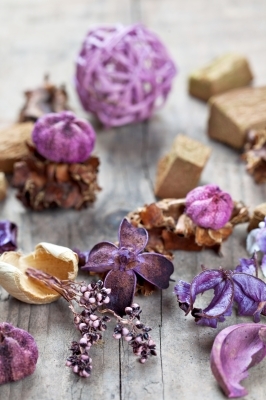 While rose geranium may not suit the men, lavender certainly will. 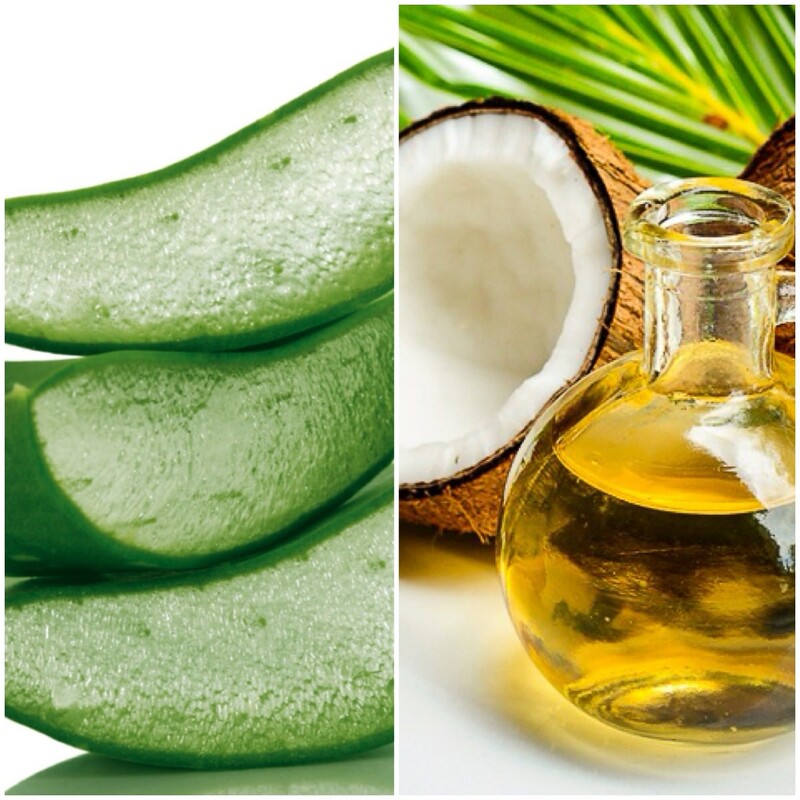 Aloe Vera vs. Coconut Oil - Benefits and Uses! Which is better? Can the beeswax be subbed for emulsifying wax nf? It is always a pleasure to share a recipe and then to receive comments like this makes it a bonus, thank you so much! I am so delighted to hear you tried the my Oatmeal Blackhead Buster and found it a success, I appreciate you taking the time to try it and let me know how you went, truly it is so rewarding for me. I really am so glad to hear you are finding a difference by switching gradually over to the "bright side" LOL Cheers again my friend, much appreciate your support, truly! I love this recipe as this certainly smells delicious. Thank you for sharing this. BTW, I have been trying out some more of your recipes. 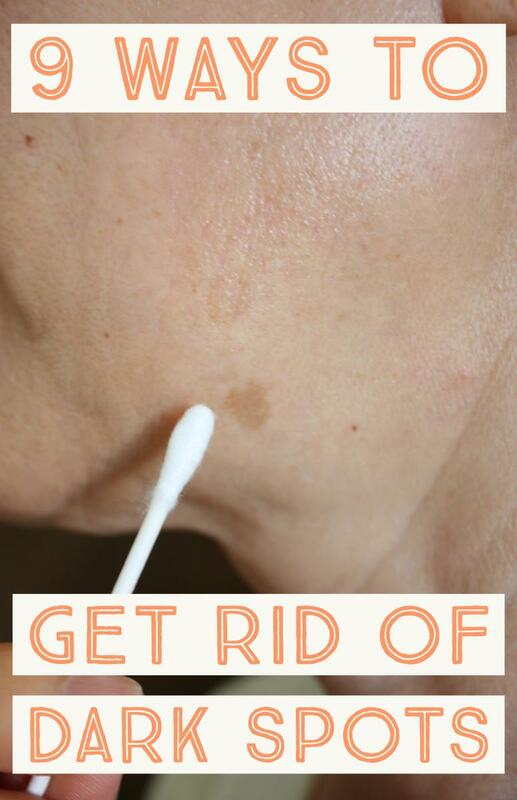 Yesterday I tried out the Oatmeal and Yogurt Blackhead Buster and it was fabulous! My face felt so clean afterwards. Since I switched to homemade beauty products - thanks to you - my skin and my hair have become better and better. It is always great to have you visit! Buying them online is no problem and it depends on your stores where you live to be honest. 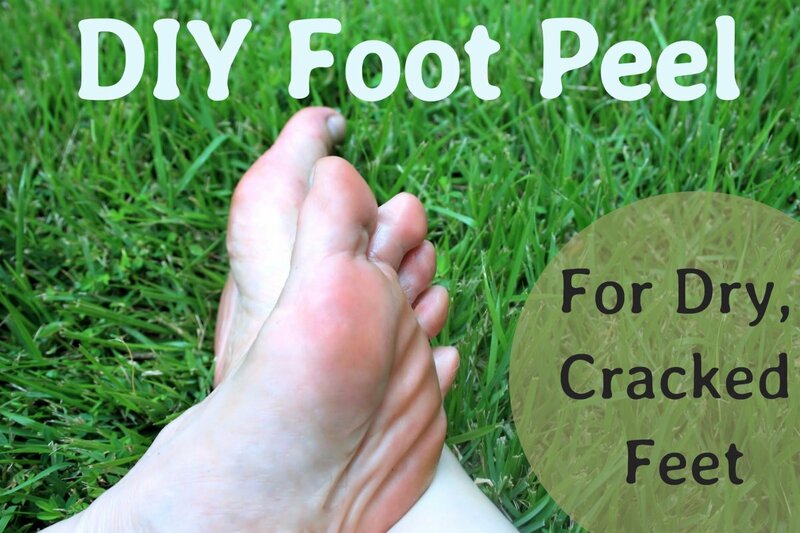 health food stores, department stores, anywhere that does aromatherapy supplies, in cosmetic departments of stores and some craft shops may also stock them. Just make sure the essential oils are therapeutic grade and organic if possible. Mountain Rose Herbs.com are a great online stockist for them and virtually all the ingredients and containers you will find in my recipes so it is a good option. Hope that helps! Thanks so much for your interest and votes, pins!! Thanks for another great recipe, Suzie. This sounds wonderful! Is it easier to buy essential oils at a local store or online? Voted up and pinned. I appreciate your innterest and for taking time to comment. I love creating homemade beauty recipes having spent many years working within the cosmetic industry including work for some of the largest brands worldwide. Less chemicals, more beneficial ingredients and saving money all inspire me and I am glad you found the benefits here. Synthetic fragrance is often added into store bought creams so using the therapeutic, organic version of essential oils is the purest form of the true scent. Have fun experimenting and try it on a plain unscented lotion you have first (the essential oils) to see if you enjoy the combo. Many thanks for your lovely comment. Nice to know this fragrant combination is appealing to you, cheers again! Wonderful recipe. 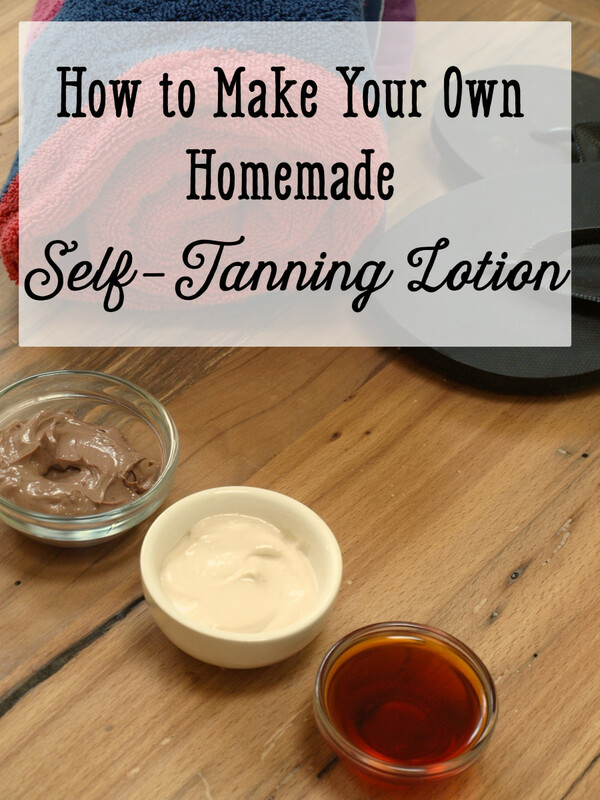 I never thought to make my own lotion or cream before. I suppose I could think up of my own scents that I would like and use them accordingly. Sometimes I find a cream or lotion that I like and either the scent is too mild or too strong but if I make my own I can control just how I want it to smell, I suppose. Very interesting hub! Another superb beauty option! I'm sure that is smells and feels amazing. Thanks, Suzie! Much appreciate your thumbs up on this recipe! So good to see this is a winner for you and if you have dry skin it is ultra moisturizing. You could replace the jojoba oil with other nourishing carrier oils such as olive oil, apricot kernel oil, sweet almond or argan oil. Love this one Suzie and have a great day. This sounds devine, Suzi. I have very dry body skin and have to use lotion every day. This particular blend would make me smell delicious! Been so busy this past week, you know those type of weeks, not enough hours! Thanks so much, easy it is and the ingredients versatile which is what I try to think of with all my recipes while introducing new ones. Glad you will be giving it a go in the future i am sure you will love it!!!! Have a lovely weekend my friend!! So good of you to drop in, love hearing from you! The two fragrances are well suited together and make a gorgeous scent combined that works in every type of product. So good to know my tips and info are appreciated. Cheers for your thumbs up, it means a great deal. Have a great weekend!! Thanks for visiting and for comment, appreciate you sharing and pinning my friend! Glad you enjoyed this recipe! Have a great weekend, always appreciate you Yoda!! Love to Bev go have fun for the weekend! Appreciate your interest, thanks for checking it out!! Another brilliant recipe Suzie. It sounds easy to make and a gorgeous smell as well. I´ll try this when my bought body lotion is over. Thanks for sharing. Have a lovely weekend! Hmm...smells great! Pinning and sharing! Great information as always, Suzie! I hope you and the Mickster have a great weekend.